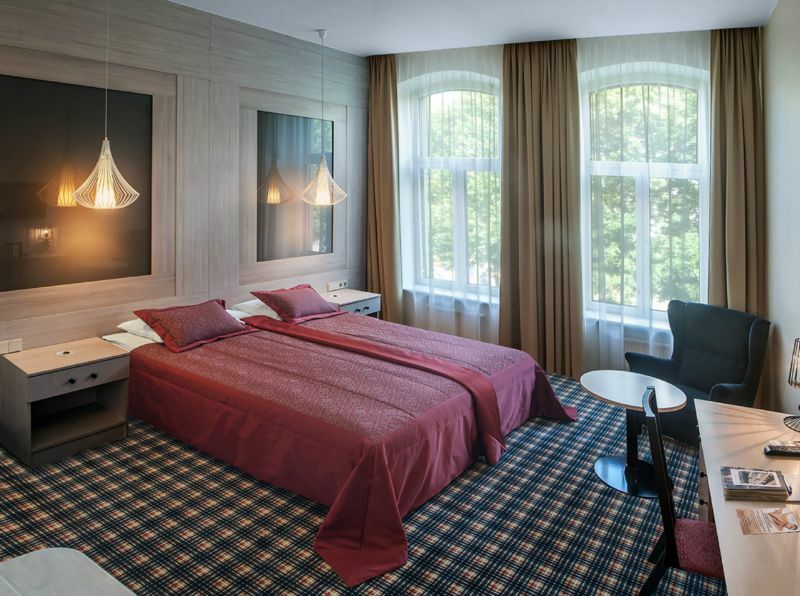 In hotel "Kaunas" there are 40 Delux type rooms. The rooms are spacious, bright, modern scandinavian or classic type, so you can choose them according to your taste. Some of the rooms are air-conditioned and have balconies. A big part of delux type rooms have an amazing view to Laisves aleja (Liberty Avenue) and Zaliakalnis. 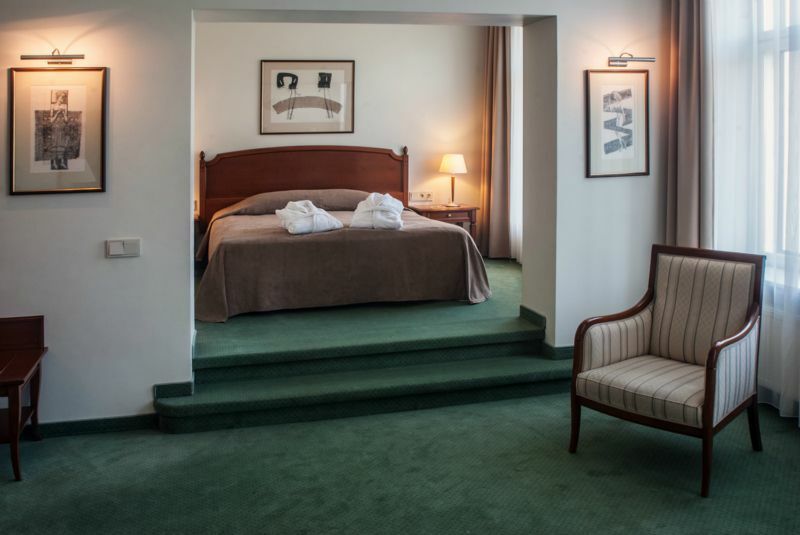 The upper floor rooms which are in the Laisves aleja (Liberty Avenue) side are especially adorable of our guests. If you book a standard room, use of fitness center services at an additional cost 10 EUR. If you book a Deluxe Suite and Executive Suite room, access to the hotel fitness center free of charge (sauna, swimming pool, gym). 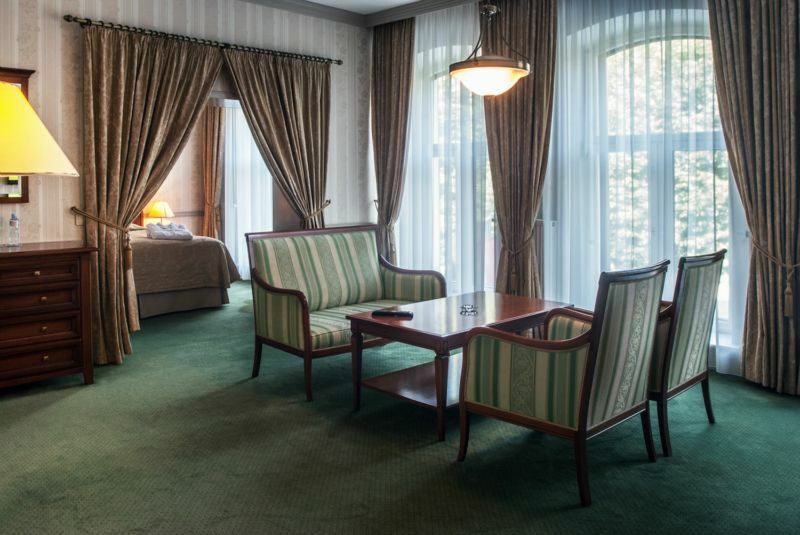 Hotel "Kaunas" has 36 standard rooms. 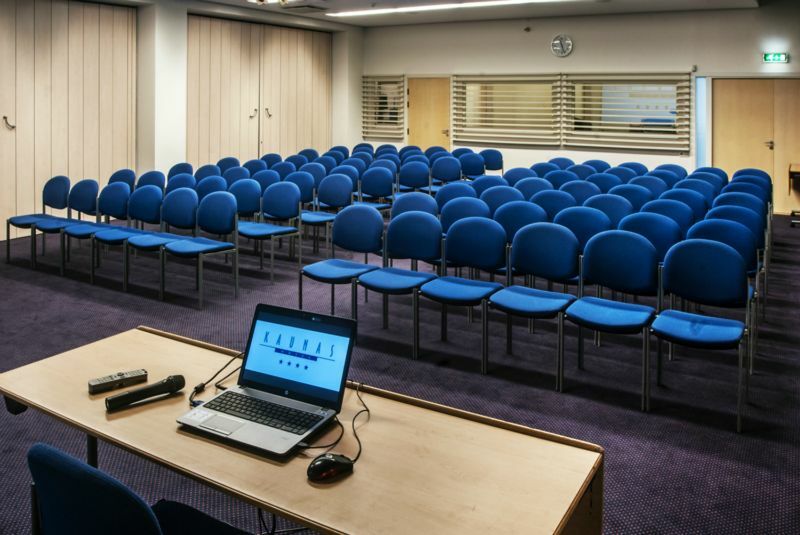 The newest standard rooms are refurbished recently in summer of 2014. 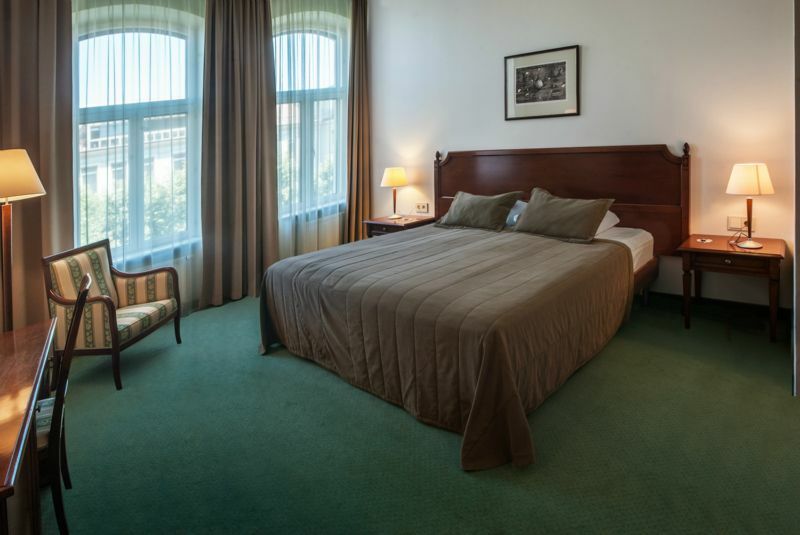 Suite type rooms consists of two areas: the bedroom and the rest area. These rooms are located in a new part of hotel. 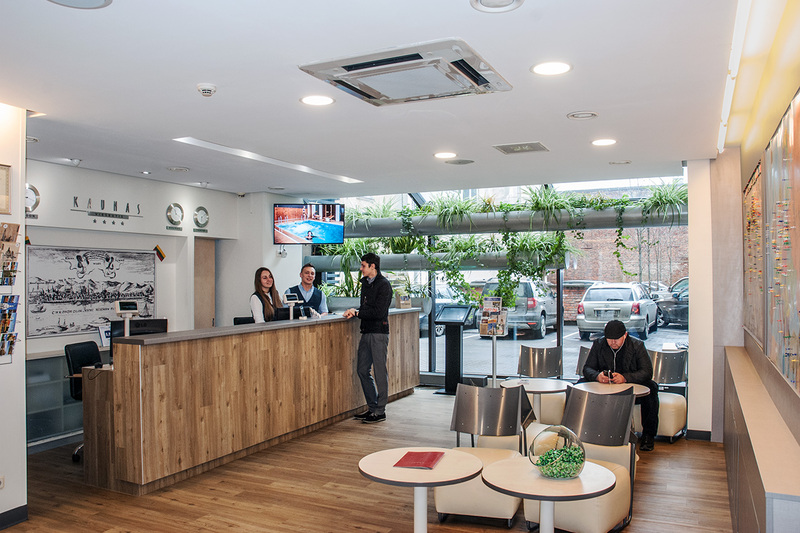 It is important for guests who are looking for a calm stay. 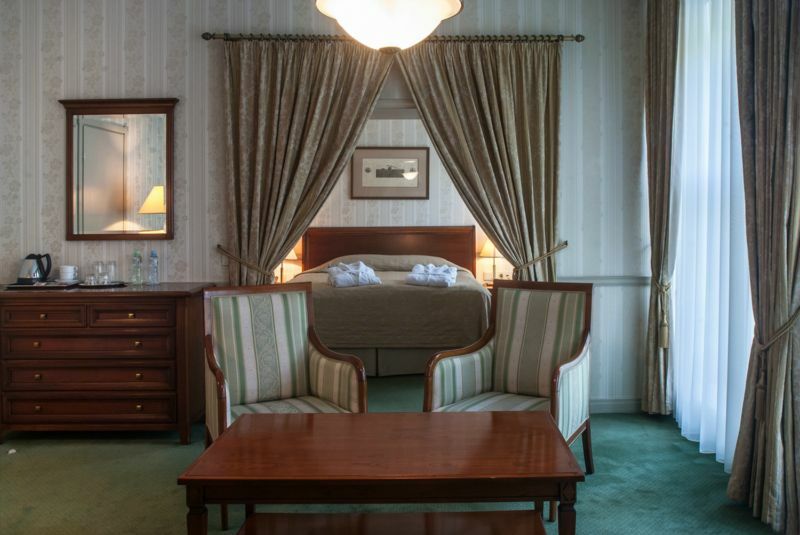 Hotel „Kaunas“ has 3 Suite rooms with bath. Everyone who books this type of room will get a soft cotton bathrobe and sleepers which helps to feel like at home. 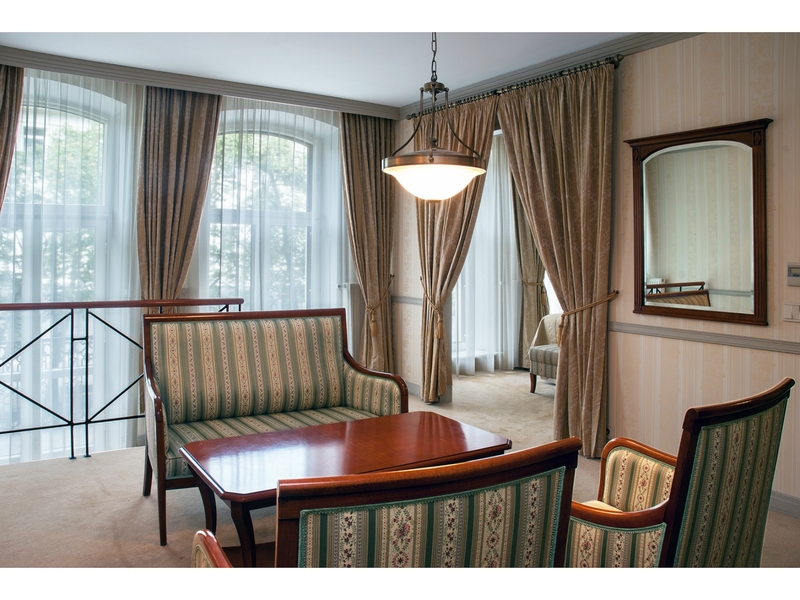 In Hotel "Kaunas" you can accommodate your guests in Executive Suite rooms. All room equipment is functional at the same time making the room cozy. 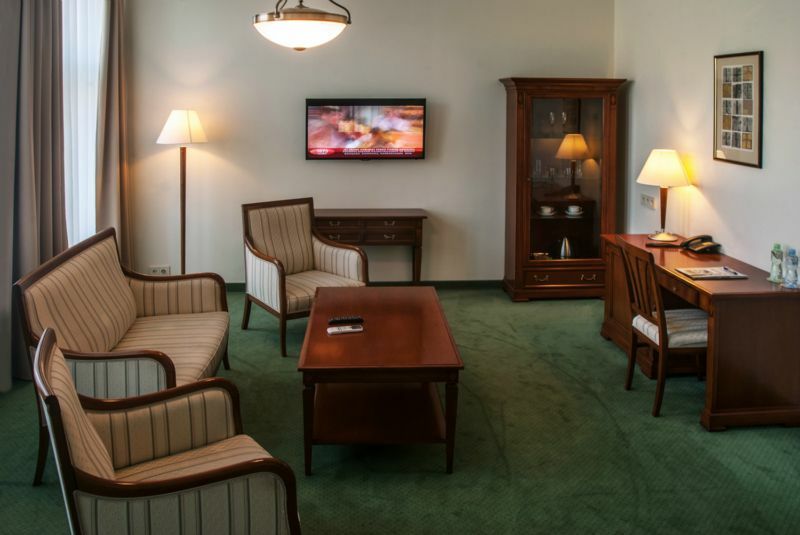 Executive Suite rooms impresses with its size, overlooking the Laisves aleja (Avenue of Freedom), the high-class Italian furniture, a luxurious marble bathroom. 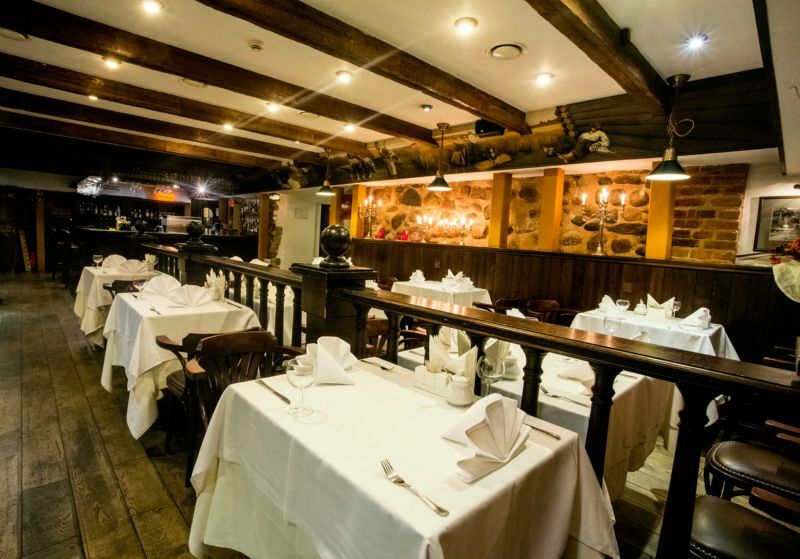 You and your guests will feel welcome for any reason you come to Kaunas - for business or relax.